Now the question is what the X-37B is going to do, besides "demonstrate various experiments and allow satellite sensors, subsystems, components, and associated technology to be transported into space and back". We also know that the mission is going to last for at least 270 days. The payload it carries though a mystery. 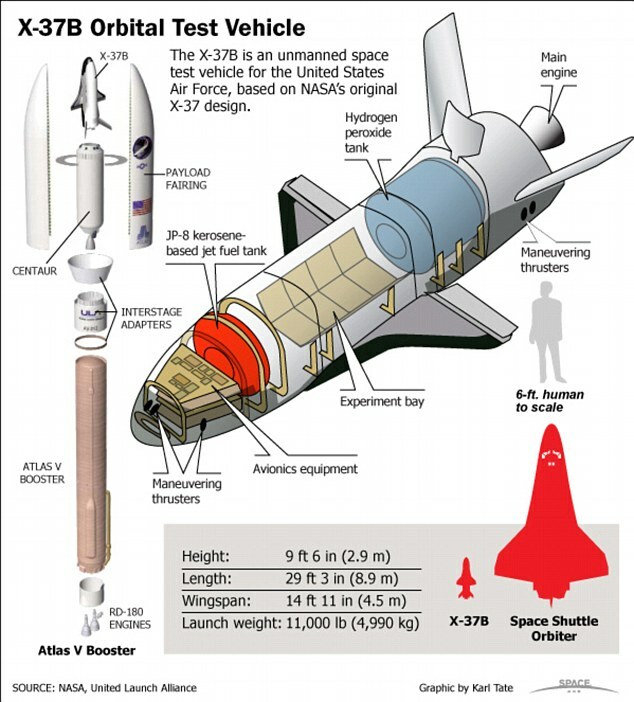 Apparently the X-37B is built to be able to return to space just 10 to 15 days after returning to Earth, though of course no tests have been able to confirm whether this is the actual number of days it would take. Lots of conjecture on what the mission is about can be seen on the space.com forums, and Spaceflightnow has a detailed writeup here.